The DePauw Administration is working to improve the school environment by rebranding the University. Dartlet, a reputation research and strategy company, and other areas of the campus such as the Office of Communications is helping define the University’s brand, in order to tell its story better to prospective students, current students, faculty and staff and alumni. “What we are doing is finding out who DePauw truly is, so this is us examining our own belief system but also our reputation. What do outside people think we are?” President McCoy said. For the past several months the University has been working with Dartlet to find its personality self and market itself better. “It’s [the rebranding] to address the enrollment, it’s to address institutional self-esteem, it’s to address our ability to be more prominent in the press, there’s a lot of reasons really,” McCoy said. Mariel Wilderson, the director of communications, explained the process of the branding further. 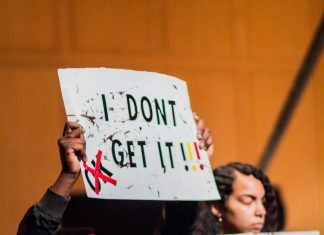 Prior to this new branding effort, the University did not have an entirely cohesive message to broadcast to the campus, alumni and prospective students. The Office of Communications might have been releasing information that Admissions was not. “Whereas before, the Alumni Office would say one thing and the Admissions Office would say another thing, and we didn’t have a cohesive message. That’s kind of what they’ve done for us,” explained Wilderson. Dartlet determined DePauw’s soon-to-be-announced overall personality and story by interviewing hundreds of University stakeholders and by hosting multiple workshops on campus. “Our model is to think about using hundreds of University stakeholders and workshops to establish an identity for the institution using a set of frameworks we developed around a human personality,” said Scott Ochander, the co-founder of Dartlet. He said Dartlet’s work is focused on finding an authentic way to define an institution based on Dartlet’s own human construct. “The elements of what we’re doing really help to create a character that is authentic to the university,” Ochander said. Ochander explained Dartlet’s storytelling process further and highlighted the fact that it really was the DePauw community defining themselves. “It’s not just about who you are now, it’s also about who you’re trying to become,” Ochander said. Dartlet took into account the stakeholders positive and negative attributions of DePauw. “We looked at things that were really wrong as well as at perceived weaknesses, so things that the stakeholders thought other people might think of us,” said Ochander. Afterwards Dartlet went and took that data to the market and asked the market if they saw those weaknesses. Wilderson also believes that the unveiling of DePauw’s personality will be positive news for the university. 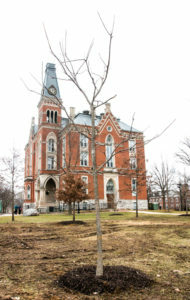 “I think that as faculty and staff and maybe as students, we always talk about DePauw being everything to everyone, and it’s hard for us to talk about it, so this was for us to get a better handle on what it was like to be a student here,” said Wilderson. If students are interested in learning DePauw’s new personality and defining characteristics, then they can come to the brand unveiling in Peeler Auditorium on Feb. 16 at 8:15 a.m., 11:30 a.m., or 2:45 p.m.